Article of the Week: "Celebs tell me everything when I do their nails" - CounterCultural. CounterCouture. This week’s article comes once again from my favourite fashion weekly. As an aspiring blogger, I find Look is normally full of articles to inspire both my virtual work and my life offline. This week was no different but one article stood out from all the rest. Jazz Smedley wrote about her work as a celeb manicurist and her brand, which has just been launched. And she’s accomplished all that by the age of 17. As a graduate still trying to find her way in the real world, stories like Jazz’s are really inspiring. However, Jazz did have a head start in life as the daughter of managing director for Nails Harmony UK. Being around an industry all your life does give you a certain advantage. Having said that, I can’t dismiss her passion and the hours she must have put in to get to where she is now. To be a manicurist at London Fashion Week is an amazing achievement and not one you gain because of your parents, though knowing the right people helps. 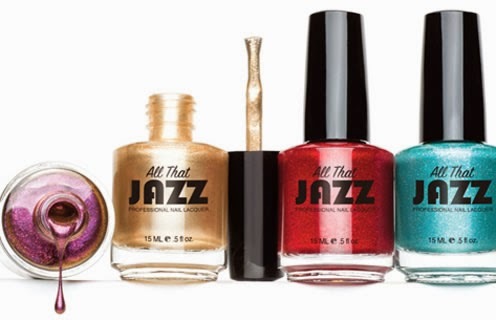 Not to forget the recent launch of All That Jazz, Jazz Smedley deserves our respect and admiration. Forget about celebrities, it’s people like Jazz who should be inspiring us.